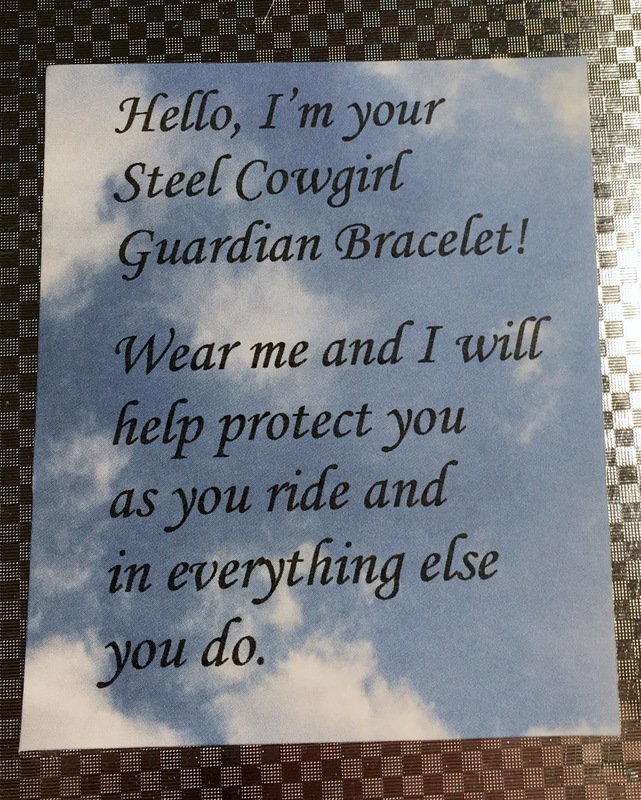 "Protect This Rider", "Steel Cowgirl" and my Classic Bike Logo are all engraved onto one comfy silicone motorcycle bracelet also known as a wristband. The difference with this one is that it's half the width of the standard wristbands which will be cooler and more comfortable when it's hot out and I think it's more stylish! 1/4" wide, one size.